The accessories you use for decorating your exhibition stand at expos and trade shows must be more than just pretty. They should also provide practical use as well as strengthen your company’s branding. One such accessory you must have at your booth is a trade show counter. 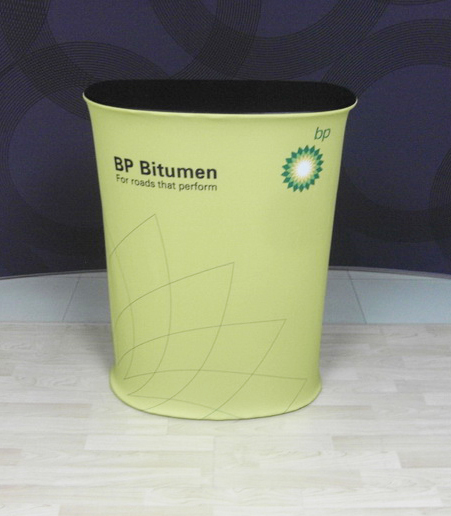 We have the perfect pop up counter in Australia that meets your needs. 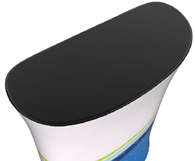 Trade show counters are truly practical accessories. 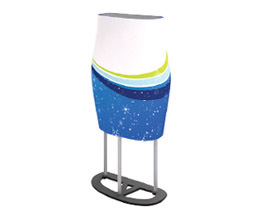 Aside from corporate branding and booth décor, they also function as space providers or work stations at your booth. 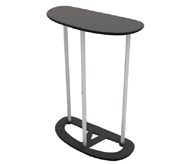 You can use them as a desk in your exhibition stand. 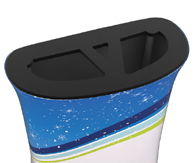 You can use them for putting your brochure holders and other exhibition paraphernalia. Each of the pop up counters we offer is made up of a base, a frame consisting of three interlocking aluminium poles, a countertop and a fabric graphic. It is very easy to assemble. 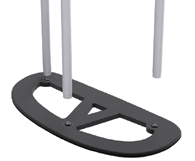 All you need to do is to lock together the poles and install them on the base. Then you place the countertop on the poles and slide down the fabric graphic so it covers the entire frame. Lastly, you zip up the fabric graphic and then place the assembled counter wherever you want it. The entire process won’t take you ten minutes. The fabric graphic is the jewel of our waveline counter. It is brightly coloured and the graphics are accurately detailed, thanks to our full-colour digital fabric printing process. The fabric graphic is resistant to fading and will last despite repeated or frequent usage. 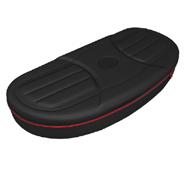 Each one is very lightweight and comes with its own carry case for easy portability. The best way to optimise these counters is to buy them in separate sizes and display them together along with your products. 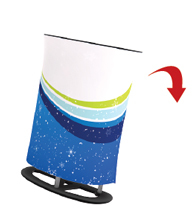 This method adds symmetry to your display and attracts more potential customers to your booth. 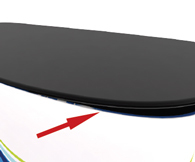 As mentioned above, our pop-up counters are practical display accessories. Why did we say so? 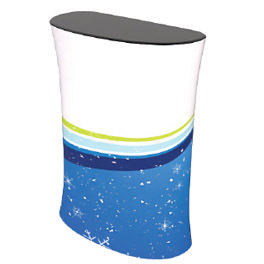 Because the quality of the fabric graphic and the durability of the frame will allow you to use the counter repeatedly, as often as you want, and at any venue you wish. Lots of other clients typically hire or rent a counter from the event organiser because they don’t know that buying one set of counters will give them a lot of mileage. Thus, if you purchase one set, you can get a lot of use out of them and you won’t have to buy them as frequently as you may have thought. In case you need to change the look of the counter, just order a new fabric graphic and keep the frame. This will save you a lot of money in the end. Enjoy the advantages our trade show counters will give you. We deliver to any location in Sydney, Melbourne, Perth, Canberra, Adelaide, Darwin, Gold Coast, Brisbane, and anywhere else in Australia. Call us for more information about our pop up counters today. Remove the counter from the molded soft bag. 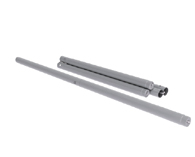 Extend and lock the support poles. 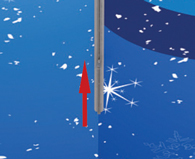 Place the 3 poles with the holes facing up. Place counter top onto poles.Tap down with hand to secure. Slide fabric graphic wrap onto hardware. 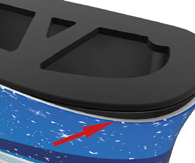 Align seam to center of back of counter. Angle and tuck gasket into channel in edge of counter top.Insert graphic gasket all the way around. Pull graphic taut and angel and tuck gasket into channel in edge of foot. Insert graphic gasket all the way around.